If you've ever explored more than a handful of historic parish churches in England, chances are you have run across royal coats of arms. These heraldic symbols, sometimes carved, but more often painted, grace churches from the Elizabethan period to the present day. But why does a symbol of secular power appear in so many churches? When did the first royal arms appear, and why? 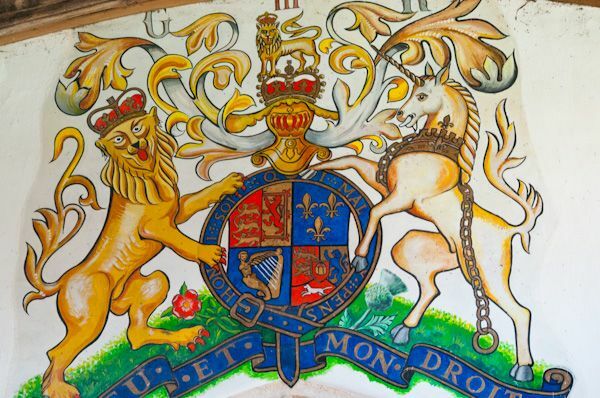 You could make a case that the first royal coat of arms were the three lions chosen by Richard I, the Lionheart, to represent the authority of the monarchy. Richard wanted symbols which would be easily recognised on the battlefield, and symbolise the qualities that a powerful king should represent. Over time certain heraldic elements have been incorporated into coats of arms; the most common being a shield, crest, helm and mantling. These were all based on medieval armour. It was only after Henry VIII moved to assert crown authority as the head of the church in England that royal coats of arms began to appear in churches. 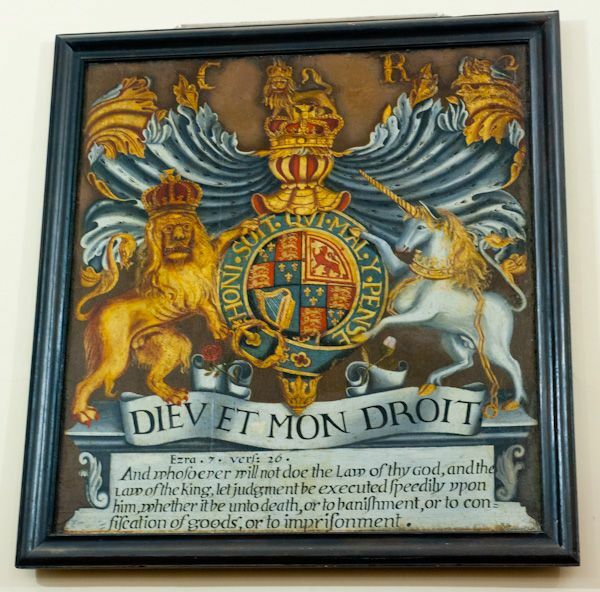 Think of a coat of arms as a statement of authority; the crown's way of saying, 'This may be God's church, but the crown is the God's representative in Britain, and I'm in charge here.' Tracing the changes in coats of arms - some subtle and some quite startling - tells us a lot about the course of British history and the attitudes that the monarchy had towards its role. 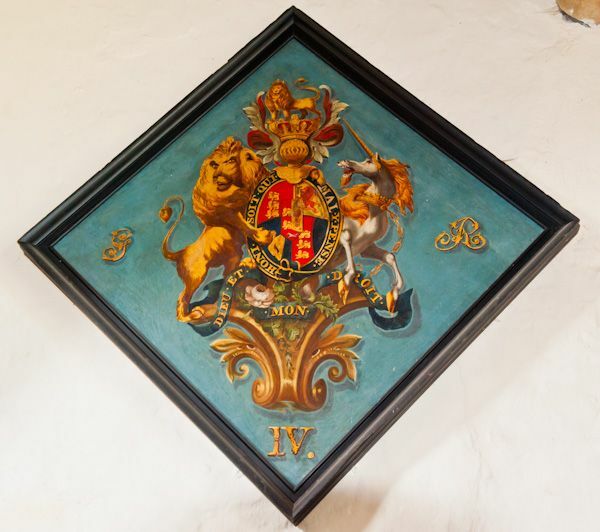 Now the Churches Conservation Trust has produced a fascinating online guide called Revealing Royal arms, to royal coats of arms in churches, a guide which should help even the most casual visitor to historic churches to learn and enjoy what they are seeing more. The guide, launched to coincide with the Queen's Diamond Jubilee celebrations, covers the different parts of royal arms, the history and evolution of arms, and a brief overview of heraldry in general. 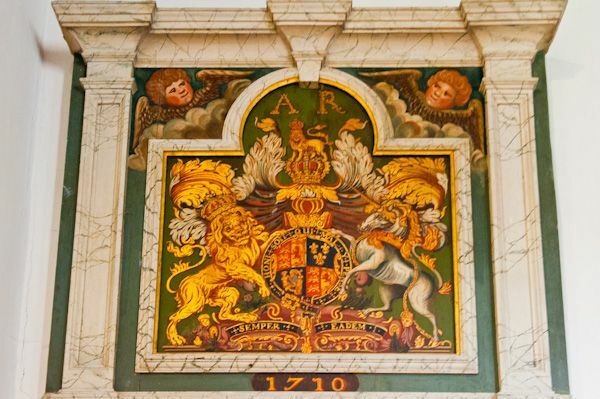 Learn about the origin of royal arms, artistic influences, and what the various badges and symbols are all about. 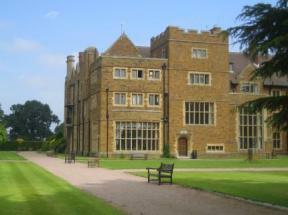 There is also a guide to conservation measures that can be undertaken to preserve historic arms. There is also a wonderfully comprehensive bibliography of reading resources to learn more; from books to national and international heraldic sources. The Churches Conservation Trust is one of my favourite heritage organisations. They look after over 340 historic redundant churches throughout England, churches that are a vital part of our heritage and would otherwise be lost. I think they've done a fabulous job with the new guide, and I encourage anyone with an interest in historic churches to have a browse. It will certainly enhance your enjoyment of royal arms in all their various forms.